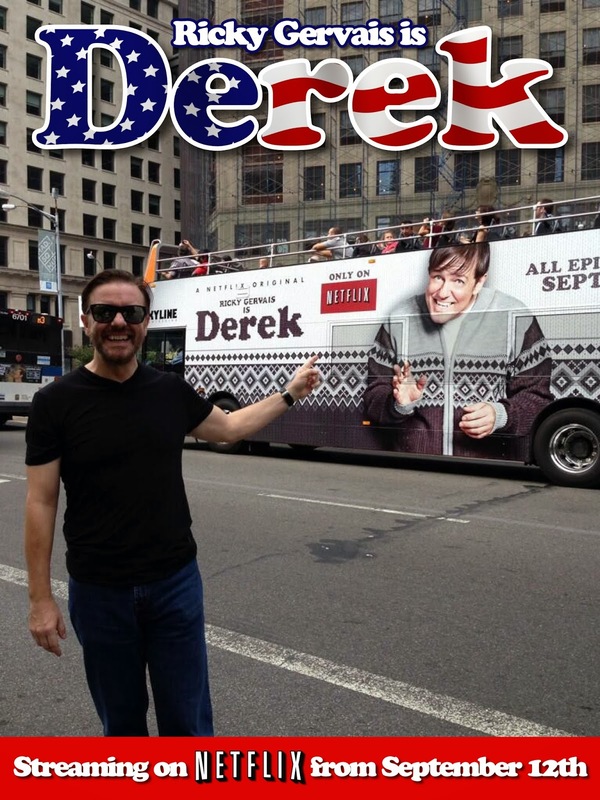 After being a huge success in the UK, Derek has now taken the world by storm. Season one has now aired in the UK and Australia and all seven episodes are now streaming around the world on Netflix. 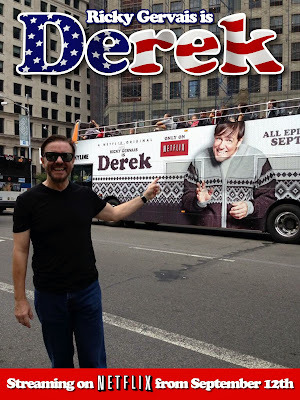 The marketing campaign by Netflix took the US by storm with posters and billboards seen far and wide across the US and many will have seen the New York tour bus travelling around the Big Apple. The feedback from the fans has been overwhelming so we’re launching a brand new Twitter competition in association with Posteritty to give away four exclusive Derek prints signed by the writer, director and star of Derek, RickyGervais. 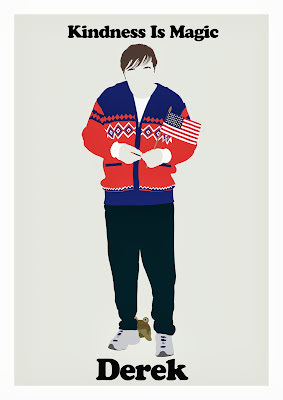 To win one these prints, all you have to do is tell us why you love Derek. Simple tweet under the hashtag #ILoveDerekBecause and complete the sentence. It’s as simple as that. Tweeters have until 11:59pm (GMT) on Friday, October 4th to enter and Ricky Gervais will pick the winners after the closing date. Winners will be notified by Twitter Direct Message from @DerekTVShow, so please ensure you’re following if you enter. Terms and Conditions: There are no alternative prizes. Four winners will be selected from entries using the correct hashtag after the closing date. The closing date for entries is 11:59pm (GMT) on Friday, October 4th. Any entries received after this time will not be included.